The Good: Jeep will offer more efficient Wranglers in the future. 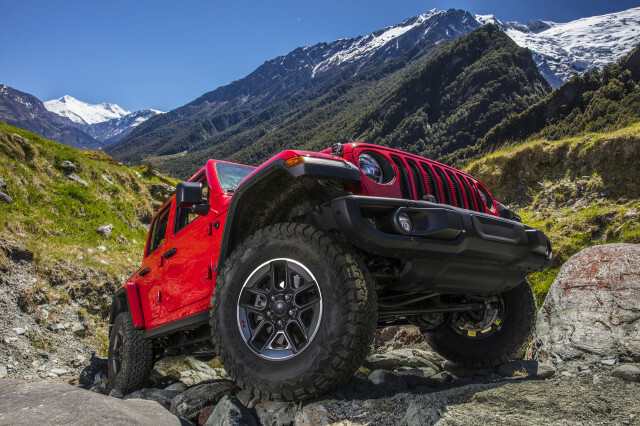 Alongside the 2.0-liter mild hybrid pairing, we're eagerly awaiting the arrival of a diesel, both of which should help elevate the Wrangler's average fuel economy beyond the high teens. The Bad: For now, the 3.6-liter V-6 is all we've got. It's rated at just 17 mpg city and 23 highway for 19 combined. But I struggled to hit that 17-mpg figure. 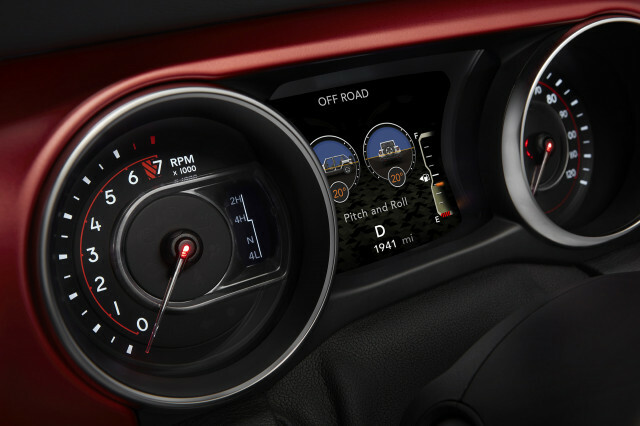 While cold weather and winter fuel likely had an impact on my mileage, the Jeep's short, aggressive gearing, willing throttle, and brick-like aerodynamics will make hitting the highway figure a challenge for owners. The Good: Holy moly, the Wrangler's steering is a revelation. Even with 33-inch tires up front, the new electro-hydraulic steering rack requires less maintenance when driving at speed than the outgoing rack. There's a sense of stability that the old hydraulic system in the Wrangler JK can't come close to matching. 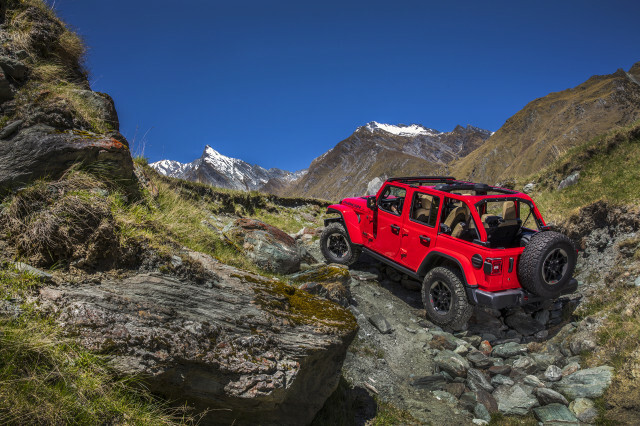 The Bad: The Rubicon's ride is not comfortable. The suspension is hilariously soft, to the point that I almost lost control on a particularly brutal highway pothole that sent the Rubicon bump steering away. Tire roar from those 33-inch tires is constant and wind noise, even with my tester's optional hardtop, whips through the cabin. The Bad: Somehow, the front windshield is smaller. It's easy to spot from outside the car, but the impact from behind the wheel is tangible. At traffic lights, I had to hang back for a good view of what's happening, and there's an almost chop-top sensation in normal driving. And beyond that, it is a bizarre design choice. From the front, the windshield looks too small for the rest of the Jeep's proportions, particularly the lower beltline. The Good: The new cabin looks great. There are plenty of neat design touches that feel functional. The grenade-shaped shift knob is among the best and one of Jeep's few Easter eggs that's genuinely useful—it's the perfect size and is easy to grip. I drove the Wrangler in January, so I wasn't able to remove the doors, pull the hardtop off, or lower the windshield, but after doing all of the above with a Willys Wheeler last summer, I can't wait to see how much easier Jeep's engineers have made these physically demanding, time-consuming tasks. The Bad: The front seats aren't very good. There's not enough support and the lower cushion could stand to extend a few inches forward to provide more leg support. But my bigger concern was my test car's beige leather upholstery. Despite barely 1,800 miles on the clock, there was already a distinct tinge of blue on the outer bolster of the driver's side bolster, no doubt from the brushing of oversized, denim-clad journalist bottoms (your author's included). Press loaners usually live harder lives than privately owned vehicles, but to see it on a product that's barely broken in and on upholstery that adds $1,495 to the price tag is very disappointing.